The Mariposa Grove, near Yosemite's South Entrance, contains about 500 mature giant sequoias. Giant sequoias are perhaps the largest living things on Earth. Although the oldest giant sequoias may exceed 3,000 years in age, some living specimens of the ancient bristlecone pine (found in the mountains east of Yosemite and at Great Basin National Park in Nevada, among other places) are more than 4,600 years old. 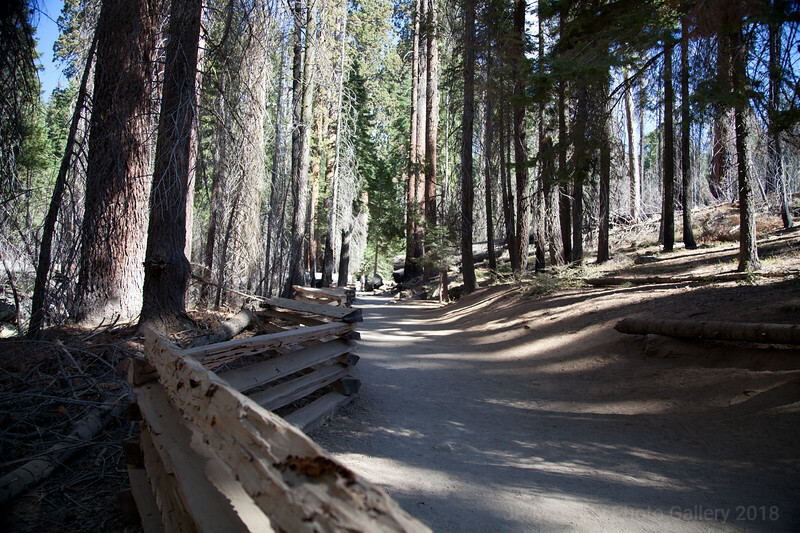 Once in the Mariposa Grove, you can hike to see more sequoias than those visible from the parking lot. A brochure (available for 50 cents in the grove or for free download [256 kb PDF]) has a map. Most people hike the 0.8 miles from the parking lot to the Grizzly Giant and California Tunnel Tree (about 500 feet of elevation gain). In Mariposa Grove at Yosemite.